A warm wood smoke heavy blend that wafts beautifully around you as the temps continue to drop. It is perfect to wear on its own if you'd like to enjoy a campfire fragrance but it is also fantastic for layering to darken gourmand scents (goes great with cookie, marshmallow, vanilla, etc. and even layered with our Corvin's Apple Fest perfume, Owl Creek Aleworks and so on) or try layering with any of our forest/woods blends to add a pop of autumnal wood smoke. Main notes include Applewood smoke, honeycrisp and red delicious apples, caramel, benzoin, resinous amber, guaiacwood and the lightest touch of vetiver. This scent is very smoky, in the vein of our popular Smoky Mountain Mallow blend but with a different smoke accord and not quite as smoky. 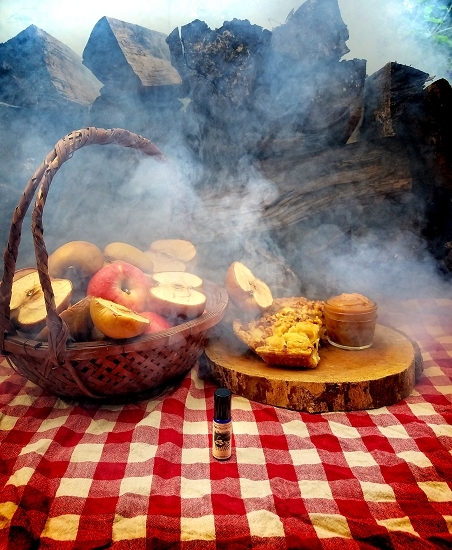 Smoky Mountain Mallow remains the smokiest of our perfumes, but Smoked Apple is a close second that is very smoky in its own way. The perfume opens with a blast of smoldering apple wood and smoke. 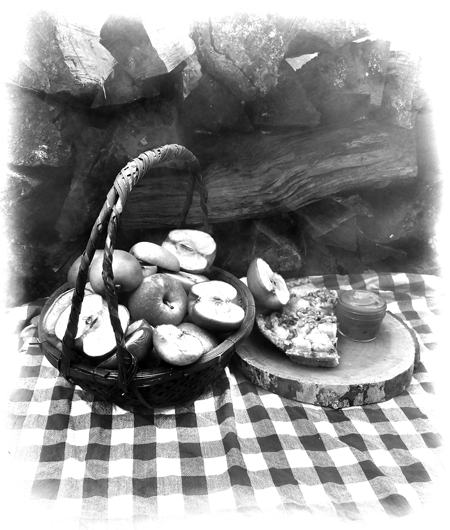 The apple top note emerges within 30 to 60 seconds, after the initial smoky opening. Thick bubbling caramel and sticky benzoin resin add a thread of sweetness to keep the smoke from verging too acrid, while still allowing the wood smoke to be the star. The apple is a very light top note but adds a bit of nectar and crispness to the opening. Warm, slightly sweet, smoky and cozy. 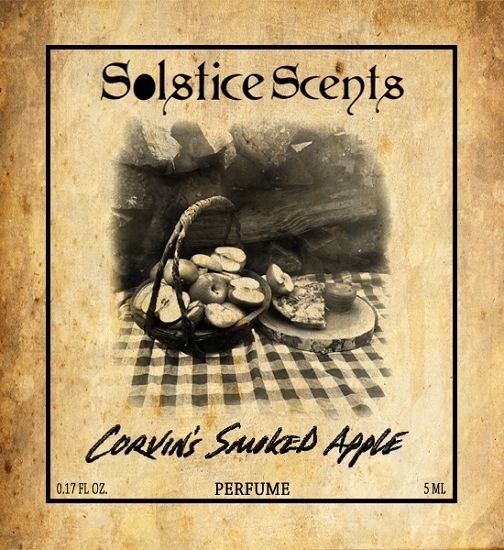 Corvin's smokes their apples using apple wood and a touch of pecan wood. The resulting smoked apples are rendered into a variety of products for the fall season, including smoked apple sauce, smoked apple cider and smoked apple pie served a la mode. You may find some of these products at Krueger's Grocery store or at the annual Corvin's Apple Fest.